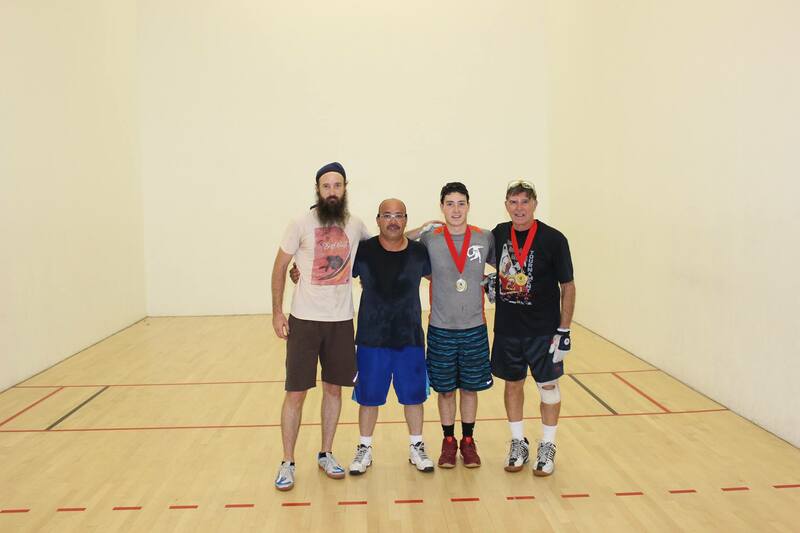 Tucson, AZ, 8/15/15– The World Players of Handball was thrilled to present the Junior WPH Battle of the Border and Calcutta Doubles in Tucson, AZ on Saturday, August 15th, 2015. 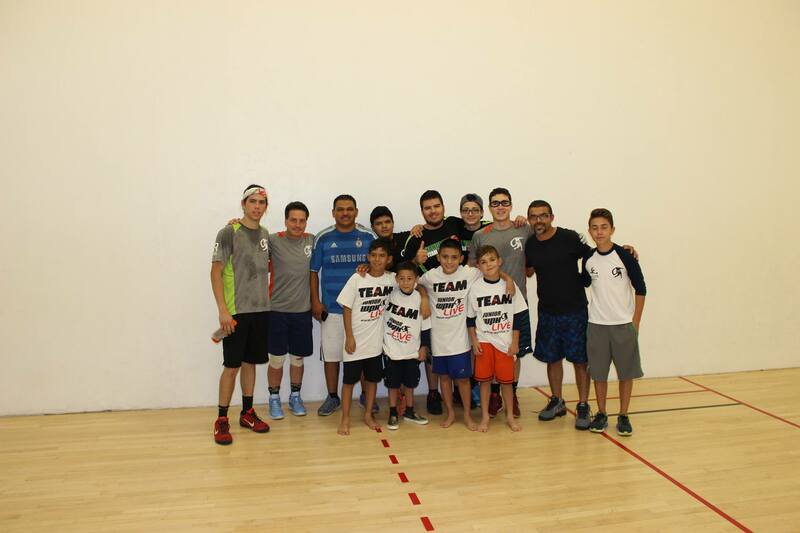 Junior WPH Juarez made the 326-mile trip east to Tucson, bringing eight junior players between the ages of 8-19, as well as seven adult players from the handball-crazed town of Juarez, Mexico. Tucson’s Fred Lewis Foundation boasted seven junior players, ranging from in age from eight to 18. Tucson’s strong adult community also filled the Open Singles and Calcutta Draws, boasting 16 additional players. Players and fans were also treated to special pro showdown between Tucson’s top 20 R48 pro Abraham Montijo and Juarez’s R48 Rookie of the Year Daniel Cordova. 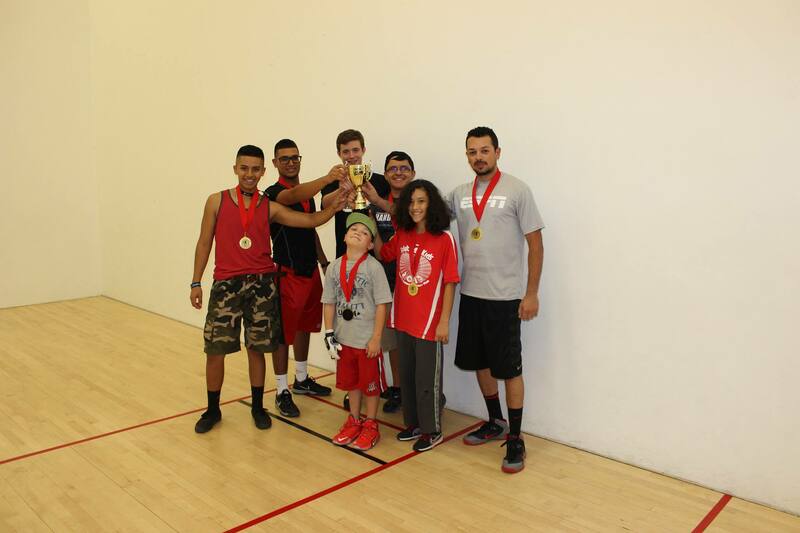 The Battle of the Border pitted Junior WPH Juarez against the Fred Lewis Foundation in 13 singles matches, with the team winning seven matches staking its claim as the Border Champion. WPH Juarez started strong, as Leo Canales Jr. defeated Kaelen Rae in the first match. FLF’s Esteban Camacho and Gabriel Vega rallied the Fred Lewis Foundation, defeating Junior WPH Juarez’s Sebastian Canale in separate matches. Daniel Cordova rallied from a 55-minute first game loss to Abraham Montijo to outlast his R48 rival, defeating Montijo in a tiebreaker for the second time this year and evening the score between Team Juarez and Team FLF. Junior girl’s sensation and FLF MVP Sophie Della Croce placed Team FLF on her back during the second half of the event, winning all four of her matches to secure the Battle of the Border team title for Team FLF. Leo Canales Jr. advanced to the final of the open singles with impressive victories against Kaelen Rae and Jacob Kavkewitz, while his father, Leo Canales, Sr. also advanced to the final with victories against Richie Estrella and Guero Baylon. The father-son duo met in an open final for the second consecutive week, and just as in Santa Fe last weekend, Leo Jr. emerged victorious. Leo Jr. teamed with 70+ superstar Vince San Angelo in the Calcutta Doubles, earning the “Border Slam” with four victories in the 13-team event, including an impressive 25-11 victory against Khalsa 2 and Kaelen Rae in the doubles final. Leo Jr., a freshman at Lake Forest College, won each of his seven matches during the Battle of the Border and proved that he has both the skills and endurance to become a great player. Thank you to all of the generous donors who made this event possible. Stay tuned to wphlive.tv and Like the World Players of Handball on Facebook and Twitter for all of the latest handball news from around the world.